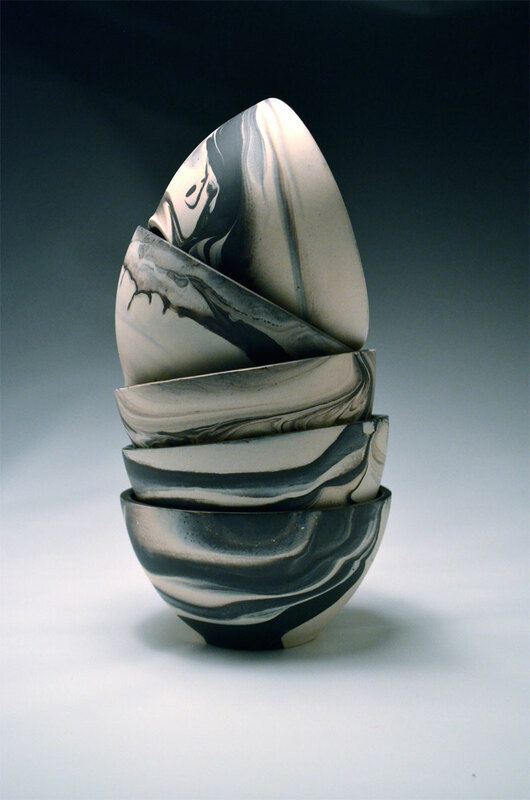 Rachael Kroeker Rachael is an emerging ceramic artist who was born and raised in Winnipeg, Manitoba, where she continues to reside. She completed her BFA with honours in May of 2009 from the University of Manitoba, and after turning down acceptance to Rhode Island School of Design she still hopes to complete an MFA. 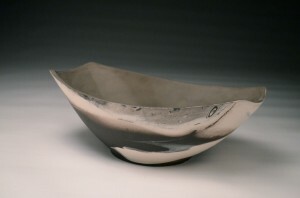 Rachael was one of the artists in residence at the Medalta clay centre in Medicine Hat in 2010, and continues to be an active member of the local ceramic community including a solo show in 2013, and an invitational exhibition in 2015. 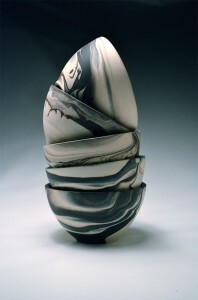 As of 2014, Rachael Kroeker is one of the newest (and youngest) members of the Stoneware Gallery, the long running ceramic artist co-operative based in Winnipeg. 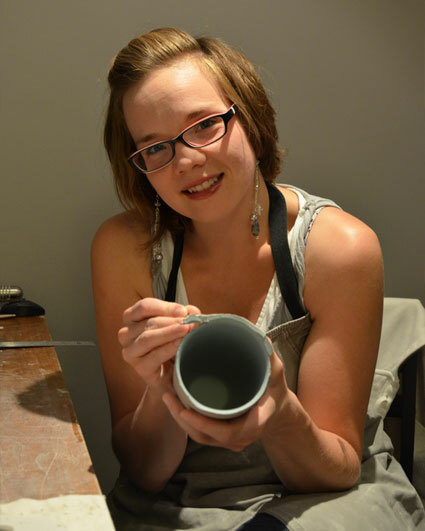 Her work has been published in The Globe and Mail, Winnipeg Free Press, and the Galleries West magazine. 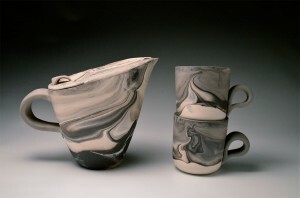 She was selected as one of the 30 Under 30 participants at the Gardiner Museum in Toronto, and along with the Gardiner Shop her tableware can be found at the Canadian Museum of Human Rights Boutique, Winnipeg Art Gallery shop, and a variety of other galleries in Winnipeg, Brandon, Saskatoon, and London. 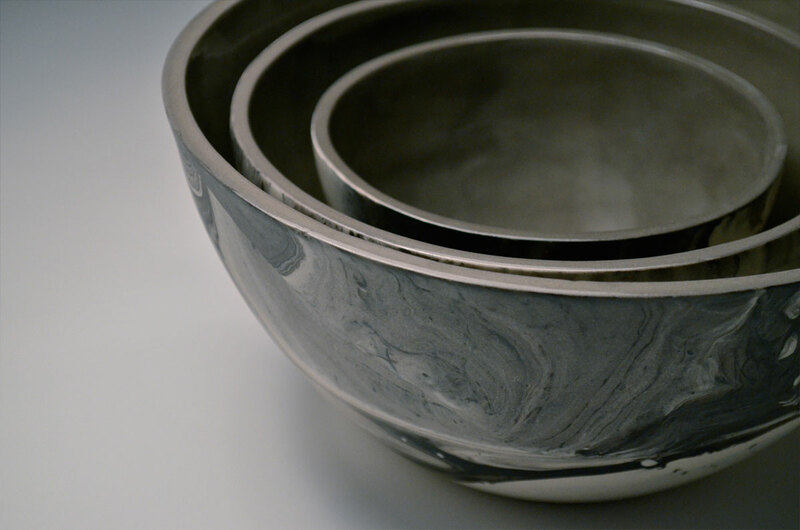 Form and aesthetics are the founding elements in my slip cast pottery, and for the last several years I have focused on producing this line of sleek, contemporary tableware for daily use and admiration. 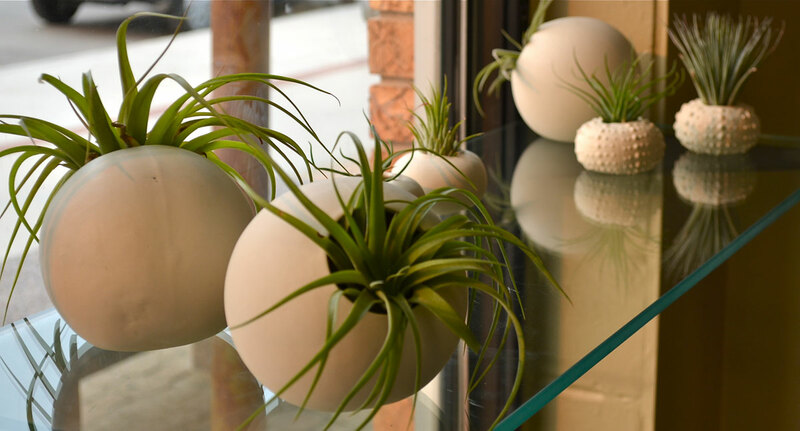 I strive to achieve a harmonious balance between function, comfort and beauty, where my style of modern elegance can honour both the essence of utilitarian objects, and the idea of beauty in function. 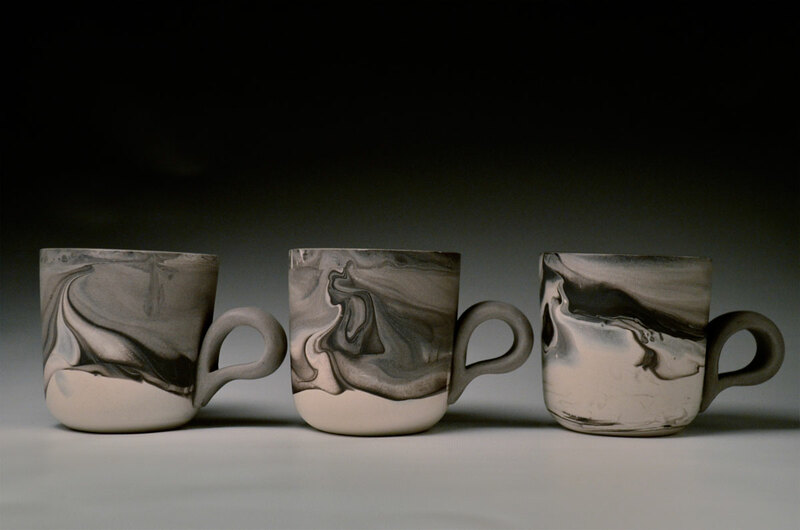 I primarily work with plaster moulds and liquid clay in a technique called slip casting, where I marble the black and white porcelain together as I pour the mould. Each piece is completely unique, with no two affects ever being the same. Through this marbling series I am able to explore the fluid and organic line movements, evoking an ever changing landscape as unique to each piece as the interpretations made by each individual. 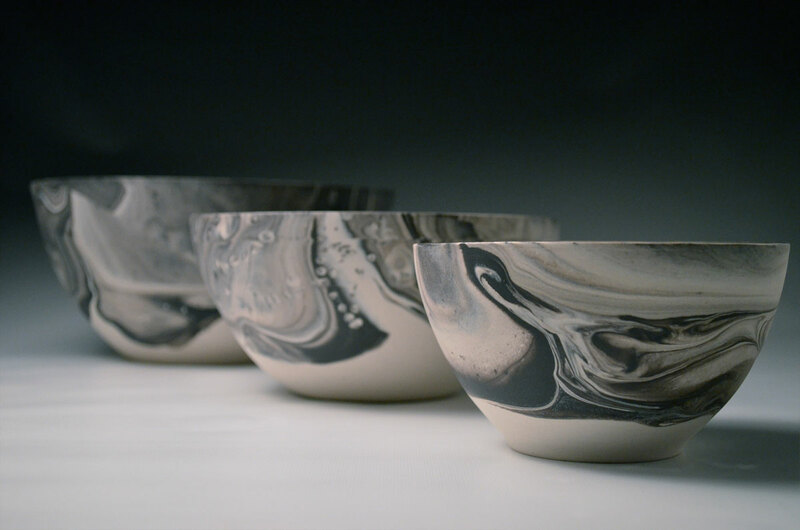 The smooth, supple surface of sanded, but unglazed porcelain engages the viewer to become the user, with a new relationship created through the sense of touch. 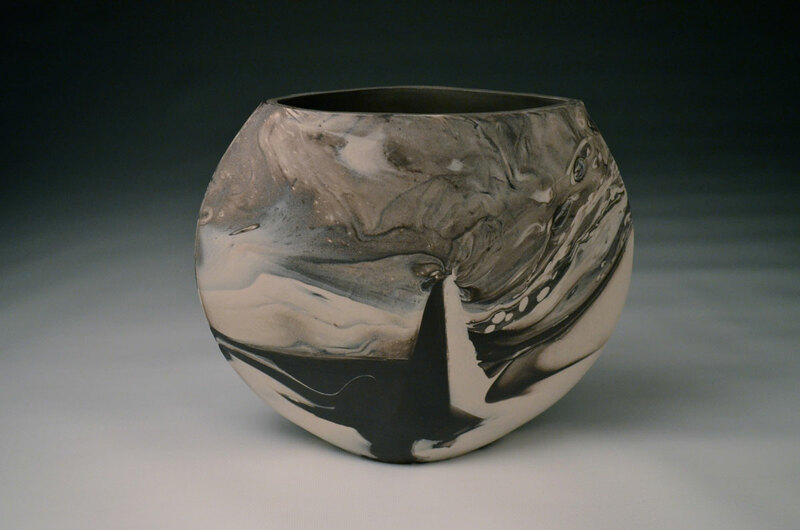 My pieces are both a visual and tactile experience.